Somatic & Energetic Resourcing™ is a body centered and energetic way of working with clients, to assess and build or repair basic developmental capacities we are suppose to develop in early childhood. Without these basic resources any form of psychotherapy can be cumbersome, and other than effective. Our core sense of self is developed in our formative years, along with a sense of safety, security, and having a right to exist. Essentially our formative years equate to building the foundation of a house. When the foundation is unstable or not there, eventually the house will fall. Physical, emotional, cognitive and psychological symptoms will arise. If we are missing a basic sense of safety and security our ability to be successful in psychotherapy is compromised, both client and clinician. These activities may not “make sense” to you or your client. They do not follow a linear perspective. 1 + 1 may not = 2. 1 + 1 may = 4,000. Spontaneous changes may occur in ways you will never expect. With Ease. Trying to “make sense” of them may only limit your client’s progress. What is the Energetic Resourcing part? Many people are energetically aware and have cut off their awareness to fit in. So many symptoms show up. This is our body’s way of communicating with us that we are choosing against ourselves. This course will introduce some beginning tools both you and your client can use to begin trusting your awareness, strengthening your ability to trust your Selves. Allowing you to choose based on what is True for you. 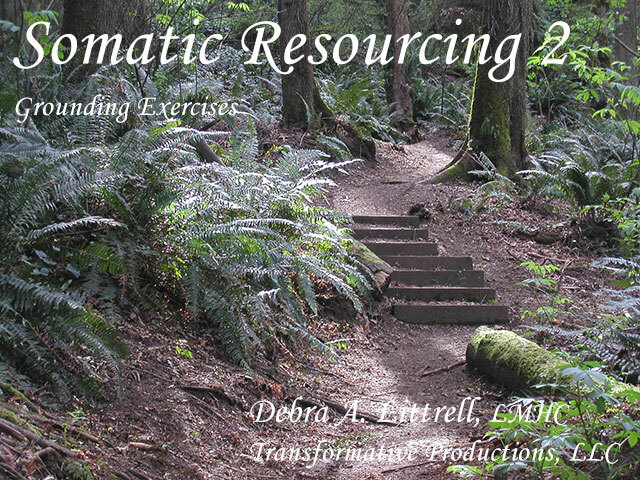 This sets the stage for more powerful experiential tools in Somatic & Energetic Resourcing™ 2. Can your client identify their own experience and report to you accurately? Does your client experience safety and trust with you? Is your client aware of what is true for them? Can your client stay present and connected with their physical & emotional reactions? Can your client contain strong emotions? Does your client speak up & let you know what is not working for them or that they are overwhelmed? Assess your clients current level of resource. Build an accurate treatment plan. Learn each others communication style. Build trust and develop your relationship. Please note: These activities are different from other forms you may have encountered. Many programs teach imagination techniques which often produce inaccurate information. Each of these somatic and activities are related to specific muscular activation at different ages. We learn Self awareness and developmental skills differently at different ages. If there has been interference or trauma at any stage these basic resources may be missing. From my perspective (from over 40 years of experience) most mental disorders are our innate wisdom’s way of getting our attention and telling us we are off the mark. Off course from who we really are. These symptoms start small and continue to magnify when we ignore them. Just missing a basic resource will contribute to an increase of symptoms. Our society’s structure of ignoring or medicating symptoms add to problems and cause further symptoms. We medicate headaches, stomach aches and fatigue instead of listening to ourselves and making life sustaining and enhancing changes. Somatic & Energetic Resourcing™ 1 provides you with initial tools for assessing your client’s developmental foundation and readiness for reprocessing traumatic material; and, developing your own foundation for good observational strategies and competency in administering the activities. This course is designed for any clinician who is looking for tools to help them facilitate their clients developing more core stability, a core sense of self. It was inspired by my work with clients suffering from more pervasive developmental trauma & EMDR therapy. Many of these clients are not able to tolerate the physical and emotional material that comes up during reprocessing or recontextualizing traumatic memory networks. EMDR Therapy clinicians, and other trauma specialists, often find, once Reprocessing (or re-contextualizing memories) begins, a client does not actually have the capacity to dual focus, to manage strong emotions, stay present, or trust themselves when disturbing memories arise, despite using the typical EMDR Therapy phase two skills (calm/safe place; container; the train/movie metaphor to assist with dual awareness), or other self regulation tools. An initial understanding of what internal developmental resources are, how they develop, and the use Somatic & Energetic Resourcing™ activities to prepare clients for reprocessing traumatic memories (Phase 2 of EMDR). A beginning capacity to work from Self-Awareness, how to stay out of a client’s way and work within their pace. How physical and emotional signals communicate Truth. About entrainment and the importance of having somatic & energetic resources yourself so your client can be successful. The overall structure of Somatic & Energetic Resourcing™, how to prescribe activities, set up homework, and stay consistent. A beginning capacity to facilitate Somatic & Energetic Resourcing™ activities with your clients. How to strengthen somatic and energetic resources. How these activities can flush out subtle levels of dissociation often not picked up by the other dissociative assessment tools. Learn how these activities will assess appropriateness and readiness for reprocessing traumatic memories. How to use Somatic & Energetic Resourcing™ activities to build a treatment plan and identify presenting complaints and memory targets for EMDR reprocessing, or other trauma treatments. Observational activities to assess your observational strategies & neutrality. 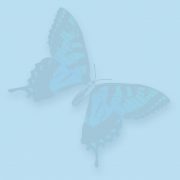 A number of Self-Awareness activities designed for more subtle awareness of Self. Tools for sorting out energetic awareness. Tools for containing strong emotions. Sensing core Self while in contact with others. Consultation in Somatic & Energetic Resourcing™ is strongly recommended after completion of Somatic & Energetic Resourcing™ 1. Ten hours is recommended before attending Somatic & Energetic Resourcing™ 2. These Courses are currently being updated. Sign up for email notifications to be notified when they will be available. Or, check back here for updates. Now that you and your client have the somatic and energetic awareness from the activities in Somatic & Energetic Resourcing™ 1, you should now be more aware of what the difference between what is is True for you and your client, what works and what has been conditioning that has caused suffering. In this course we will add Connection activities (grounding), and Centering activities. These are developmentally based activities that create core stability. We will be using somatic and experiential activities to build more core stability, without effort. Connection & Centering activities are based on developmental activities we should all have growing up. Just doing the activities creates change, without efforting. Connection (grounding) activities help you and your client experientially explore when they are connected and when they are not. We learn to connect with our body differently at different ages through the developmental activities we all do as children. Learn when they are connected and when they are not. Use the activities during reprocessing traumatic material if they lose connection. Distinguishing between what is theirs and what is not. Making choices that are True for them. Perceiving when they may be vulnerable to attack. Please note: These Connection activities are not like other “grounding” activities. They are based on innate development. They are not imaginal mental constructs. Centering activities are also developed differently at different ages. Centering activities assess what resources are already working, and what needs to be built. Centering activities give a person a sense of confidence and knowing what is True for them. Each time you revisit these activities with your client you will find them more resourced. The Self awareness, relationship building, pacing, timing skills from Somatic & Energetic Resourcing™ 1 are required before taking on these activities. This is delicate work and if the previous work is not done first a client could become overwhelmed. You and your client will have to have completed the activities from Somatic & Energetic Resourcing™ 1 before taking on Connection and Centering activities. If a client cannot be aware enough to report subtle details, then these activities can be overwhelming. You and your client will not be able to honor their timing and pace that works for them. Somatic & Energetic Resourcing™ 1 is about listening to and honoring the innate Truth within. Without this capacity your client can be overwhelmed, even re-traumatized. Review your application of Somatic & Energetic Resourcing 1™ activities in your practice. Explore what worked and what “appeared” to fail. And, discover why it was not a failure. Learn numerous somatic and experiential activities to facilitate your client in learning how to use their new found awareness to go beyond self limitation and feel more secure in the world. Learn to implement Connection and Centering activities in honor of your client’ timing and pace. Consultation in Somatic & Energetic Resourcing™ is strongly recommended after completion of Somatic & Energetic Resourcing™ 2. Ten hours is recommended before attending Somatic & Energetic Resourcing™ 3. Now that you and your client have the somatic and energetic Awareness, Connection & Centering activities from Somatic & Energetic Resourcing™ 1 & 2, you should now be more aware of what is True for yourselves and what works for you. In this course we will address the issue of “boundaries”. We will look at “boundaries” and how they actually limit your client’s awareness capacity. And, this limitation actually makes them more vulnerable to attack. By completing the activities in Somatic & Energetic Resourcing™ 1 & 2 they will have more awareness of what is True for the them, even if they are not yet able to act on it. These new activities can facilitate them in taking the next step with their new found Self awareness and stability. These activities replaces the old boundary work and allows your client to use their “felt sense” awareness to inform them of what is going on around them so they have more choice. We will be using somatic and experiential activities to build more core stability, without effort. These are based on developmental activities we should all have growing up. Just doing the activities creates change, without effort. Each time you revisit an activity with your client you will find them more resourced. 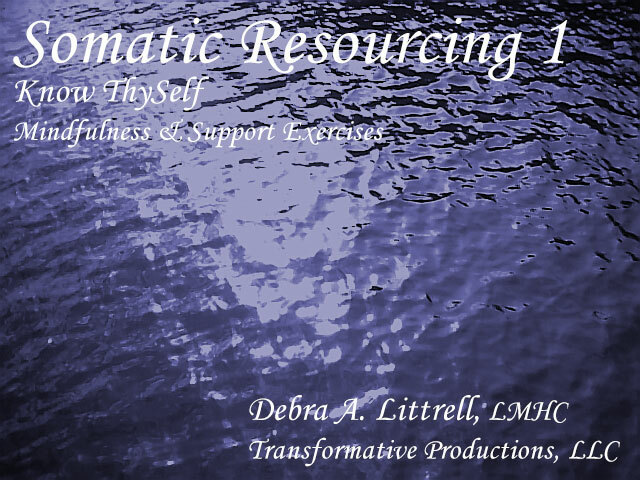 The Self Awareness, relationship building, pacing, timing, Containment, Connection, and Centering from Somatic & Energetic Resourcing™ 1 & 2 are required before taking on these activities. This is delicate work and if the previous work is not done first a client could become re-traumatized. Your client will have to have completed Self Awareness, Connection and Centering before taking on expanding beyond boundaries. If a client cannot be aware enough to report subtle details, then these activities can be overwhelming. A client will not be able to get accurate information if they are not connected to self and centered before taking on profound life changing work. This is why all the activities in Somatic & Energetic Resourcing™ 1 & 2 have to be completed first. Review your application of Somatic & Energetic Resourcing™ 1 & 2 from the two classes. Consultation in Somatic & Energetic Resourcing is strongly recommended after completion of Somatic & Energetic Resourcing™ 2. Ten hours is recommended before attending Somatic & Energetic Resourcing™ 3.